So, let’s say you own a pizza franchise that wants to sell, well, more pizza. Your franchisees have been pouring hundreds – maybe thousands – of dollars into an ad network or other digital advertising company. “We’ll get you millions of impressions on all the best sites!” they promise. But sometimes it’s not enough to blast out a limited-time offer for “1/2 Off Any Pizza!” to everybody in your market area. 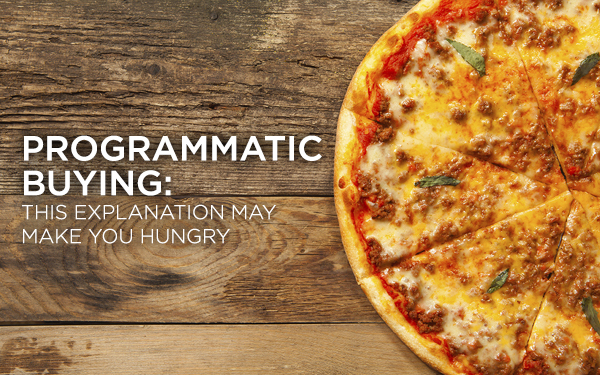 By structuring a programmatic digital advertising buy, you could serve that same “1/2 Off Any Pizza!” ad to a more qualified and likely-to-buy audience. Programmatic buying is just a fancy way of describing a method of buying advertising that uses a pre-determined set of parameters and/or goals. It’s like getting the works: ideal inventory on the ideal device at the ideal time at the most ideal price. A programmatic buy can be largely automated and done within milliseconds. But there’s still a human element needed to make and influence intelligent decisions that a computer simply can’t do. This helps to ensure quality over quantity with each buy. Then, just like that, you’re targeting consumers within a 10-mile radius of each pizza franchisee specifically on their mobile devices, right before the big game and with a limited time coupon. On top of that, you can serve visitors to your website a special “Pizza of the Month” ad with a frequency cap of 10x per user over the following two weeks. It just makes sense, right? Will programmatic work for you? While programmatic display buys are not the solution for everything, they can often be the most cost-effective way to boost sales with digital.  If you haven’t given this method a try, let us show you a smarter way to buy digital media. Whether you’re selling pizza, jewelry or auto repairs, a programmatic digital campaign could be an investment that delivers big results for your business.